Yesterdays morning ride yielded more than just physical and mental health benefits. 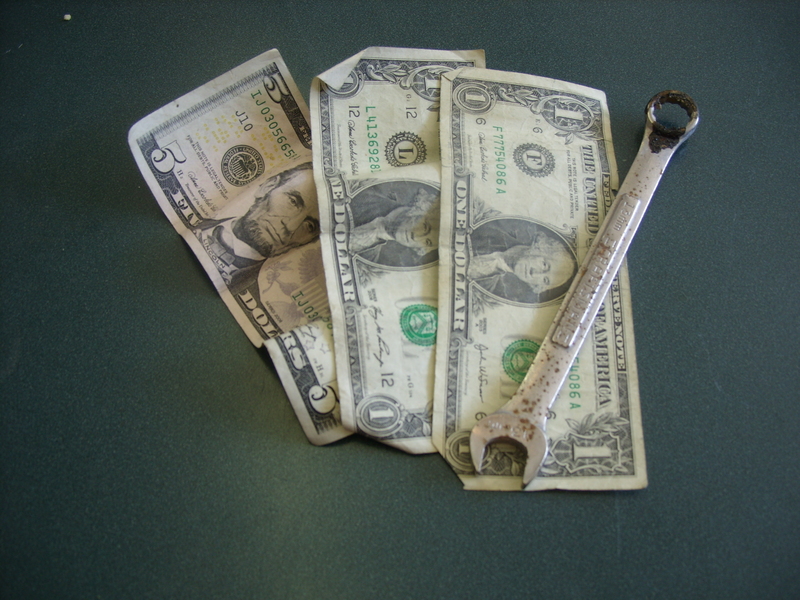 I also found $7 on the side of the road, and later a 13mm Craftsman wrench – which, as providence would have it, was the one wrench missing from my bench! 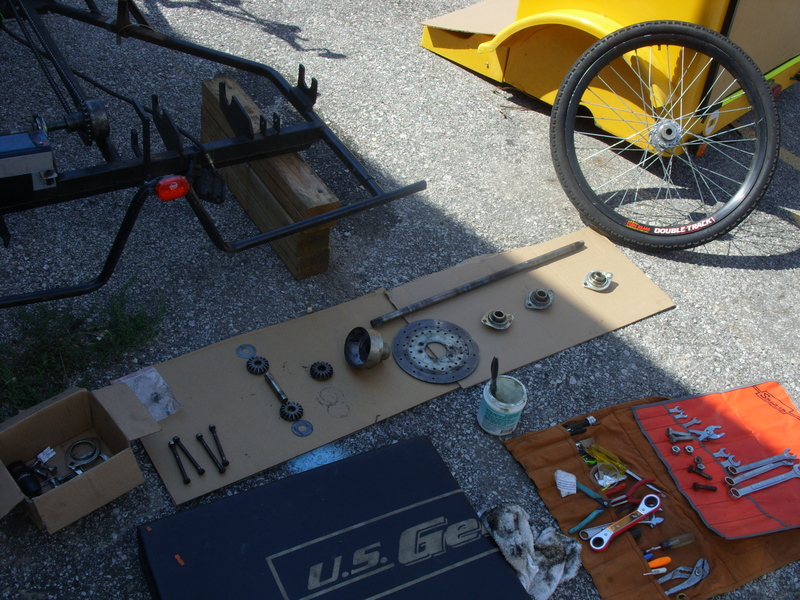 Yesterday was not just productive on the bike, it was also productive fixing the bike. 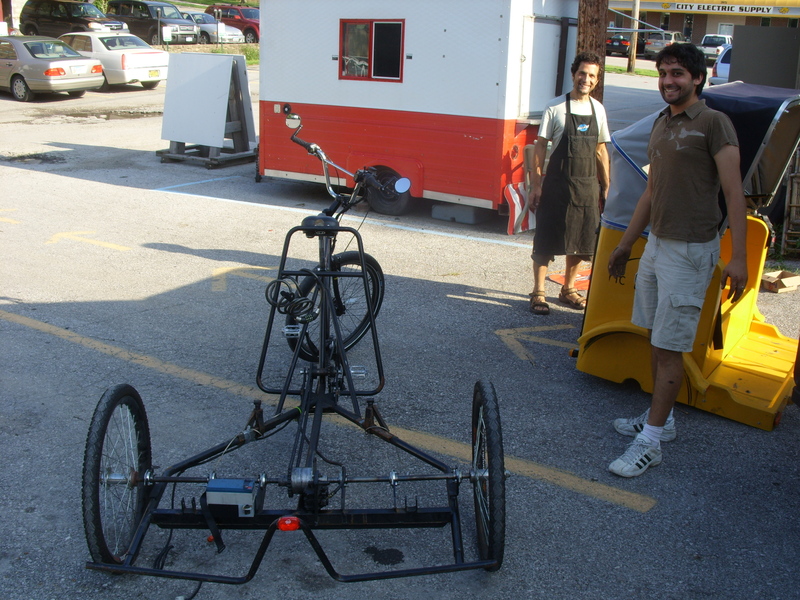 In particular, the IC Ecocab with the broken axle. 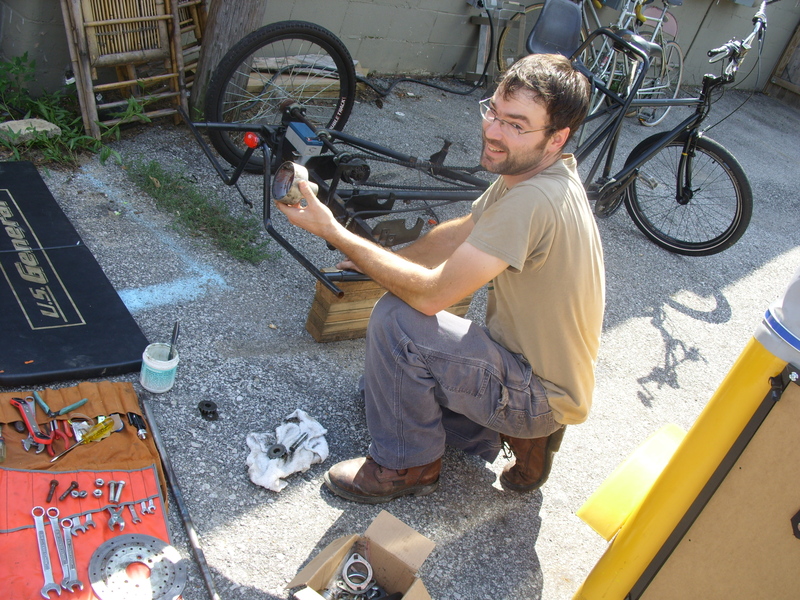 Our efforts to find a replacement part were unsuccessful, so we enlisted the help of local Mr. Fixit, Michael Webb. He welded the axle back together at his shop, and heat treated it to help it withstand the rigors of pedicabbery. The mock up of how it would go back together, with the repaired axle looking good as new. All done except for the passenger fuselage install. 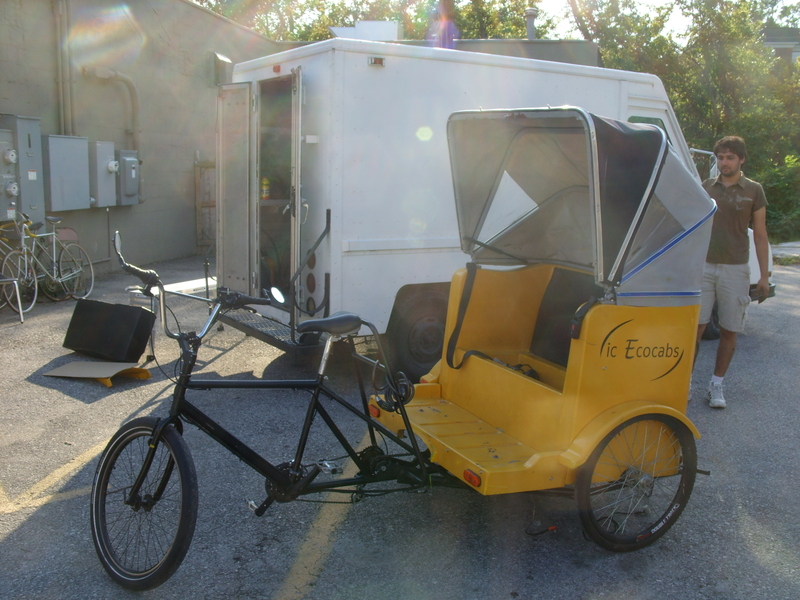 A couple of weeks ago we were asked if we would be interested in providing mechanical support for Iowa City’s coolest pedi cab company, Ecocabs. After some discussion and research we said, sure – we can do it! They started offering rides last weekend and already have been in for some maintenance. One of the rickshaws broke a chain so Cody replaced it. That is Vik and Veena, the company owners and motors overseeing the work. And how happy are we that our shop has an overhead door! So with a fresh shiny new chain installed a quick test ride revealed that the cogset was also worn beyond use and would have to be replaced. So yesterday we got after it. Cody pulled the piece, I dunno what it is called, maybe the freewheel/driver interface? Anyways, a freewheel is just threaded onto it so we figured it would just pop off with standard chain whip and wrench application. Three broken chain whips, a bent vice cranker and many grumbles later we admitted defeat. Our tools were not up to the task. Lucky for us, Iowa City has a bike guru in a cave. I can’t tell you who this guru is, or where to find him, because that is not how it is done. Guru’s, as a general rule, don’t have anything to do with blogs. But they have BIG vices! Not five minutes after I burst into the shop wild eyed and screaming for help the job was done. Bike gurus in caves are handy to have around. Look for the Ecocabs downtown tonight and all weekend!